Behind The Scenes: ECCW: Saturday Jan 12th, 2013-- Seasons Beatings! 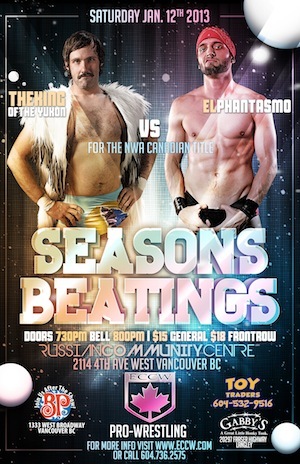 ECCW: Saturday Jan 12th, 2013-- Seasons Beatings! Well folks I am a little late on this I meant to do this earlier for them for no other reason than I have always been and always will be a wrestling fan I say that with no shame at all. 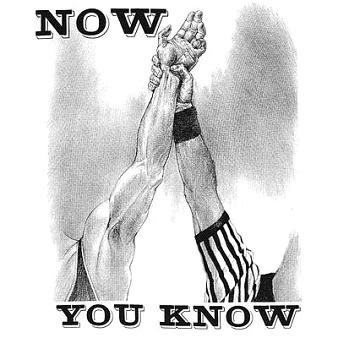 I have never met a wrestler even though I have been watching since I was 12 years old. This , however is different as this is a local promotion here in the Vancouver BC, Canada and I want to do what I can to help also maybe get some interviews with anyone that I would be allowed to talk to. However this brings me to this I have Mary Diaz and Scotty Mac on my friends list on Facebook and have talked to both of them about making an event and I have yet to make one. I hope to get to one but until then I have some things to share with you. Tomorrow night will be another night for the ECCW as I have just seen the entire front row for the event is sold out and congrats to them. The main event has been sometime in the making and here is a promo video for tomorrow nights show, I think it is great.